Recently we were at Armstrong University for a high school band competition. Each high school performed its pieces with distinctive differences. Ether it was a horn out of tune or a drum out of sync, the cacophony of sounds drowned out the wonderful musicians. But the bands with the least malfunctions were able to perform a symphony of sound that were almost magical. This is also how we view an athletes performance. Runners use their unconscious brains to perform a symphony of motion that utilizes over 400 of the 642 skeletal muscles in the body to achieve a magical performances. Lets take you from your big toe to you shoulder – your big toe to the foot, to the ankle, to the leg, to the knee, to the hip, to the sacrum, up the spine, to the first rib, to the sternum, and to the shoulder . How many joints did we cross? 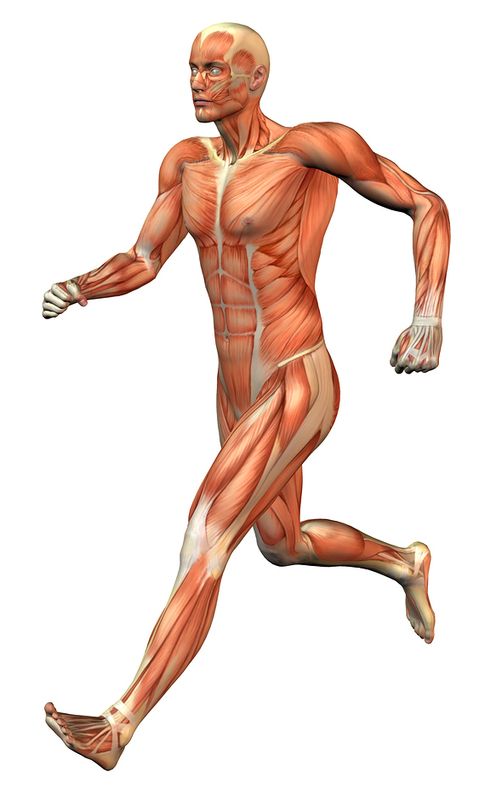 How many muscles moved those joints? And how many nerves controlled the function? In a rough guess I counted 47 and that just joints…. If just one of joints isn’t performing correctly, the body will make a compensation to try to override the lack of function. Lack of function robs you of the ability to decrease times, finish races, and reach goals. Sports Chiropractors look at the body as a whole and do assessments looking for areas of weakness. 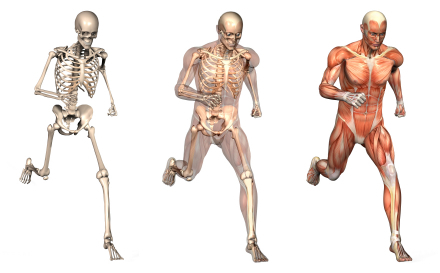 Most nervous system and joint malfunctions are the main culprits of muscle weakness and compensation. Like fine-tuning a race car, a pre-competition chiropractic check and adjustment of the mis-aligned vertebra can give an athlete a peak performance advantage. Notable athletes like Evander Holyfield, Brian Johnson, Jerry Rice, Michael Jordan, Tiger Woods, Joe Montana, Usain Bolt, Keflezighi, Marlo Runyan, Alicia Shay, and Adam & Kara Goucher have benefited from chiropractic care to achieve peak performances.